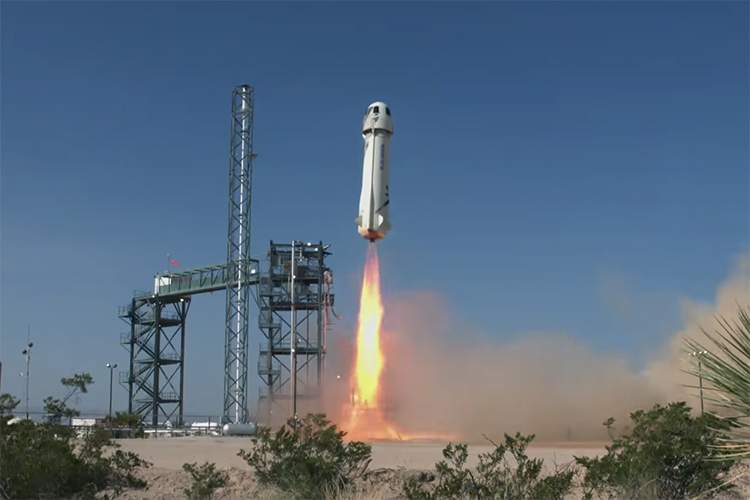 Blue Origin, the space exploration and rocket company owned by Amazon CEO Jeff Bezos, has completed what it is claiming to be the most critical launch test in the company’s history. Blue Origin, the company which aims to send humans to space using its popular crew capsule with large windows, has successfully tested the most challenging launch and the return of its crew capsule. Having achieved success in this trial, the company is likely to put the rocket into operation by the end of this year. The flight to space could launch as soon as next year. The entire episode was shared using a live YouTube video which attracted nearly 20,000 viewers. You can also watch everything from nearly 35 minutes prior the lift-off to the time when the rocket and the capsule returned successfully to the ground using the video below. 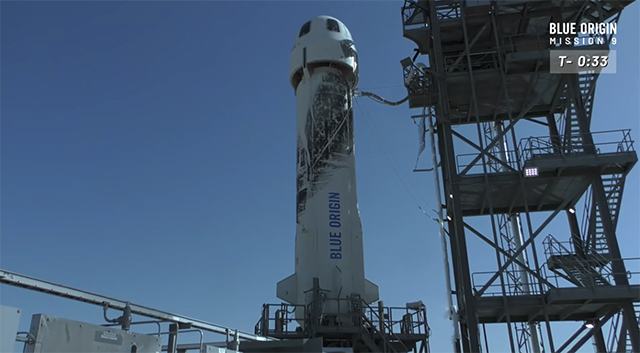 This was the ninth time that the New Shepard rocket booster was launched by Blue Origins and its third voyage outside the Earth’s atmosphere. Both the capsule and the rocket are reusable and will compete against SpaceX’s Falcon 9 rockets and Dragon capsule. This was also the highest (389,846 feet) the rocket had reached so far. The current test was conducted with Blue Origin’s test dummy named Mannequin Skywalker who was strapped to the chair and was used to study the impact of gravity. The capsule also carried experiments and payloads on behalf of NASA including one meant for testing Wi-Fi in space. The entire mission took place nearly 11 minutes to be executed while the capsule reached a maximum speed of 2,236mph (~3,600kmph). It was critical as it was intended to test what happens to the capsule and the rocket in case of an emergency abort. The company did not talk much about the timeline for allowing humans to be a part of the experiment or how many more trial launches will be conducted before the service is commercially available, but we hope to see Blue Origin transporting humans to space in 2019.